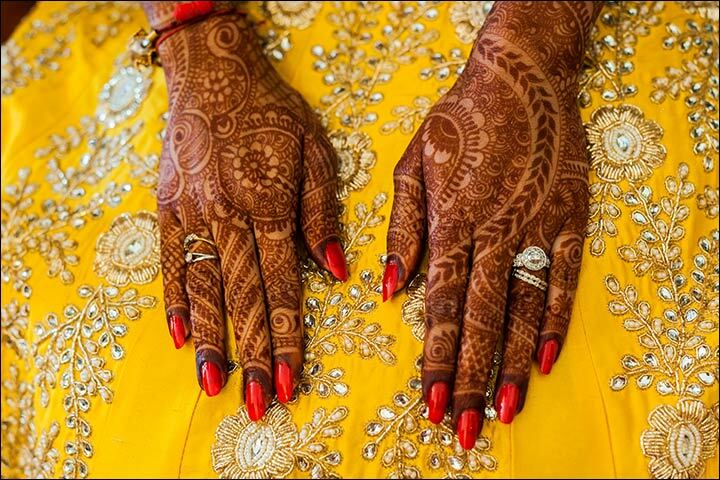 When you see the brides with their hands all decked up with intricate mehndi designs, you hardly tend to think of the long history associated with mehndi art. The art of mehndi has been around since the very dawn of human civilization, it would seem. Right from the plains of Sub-Saharan Africa to almost all parts of India, we have seen some intricate, gorgeous designs blooming and fading in the hands of millions of men and women. Not only that, each region has its own set of traditions and indigenous influences that have birthed a stunning variety of designs that are just a treat to the eye. Actually, no one really knows when this practice came into being. 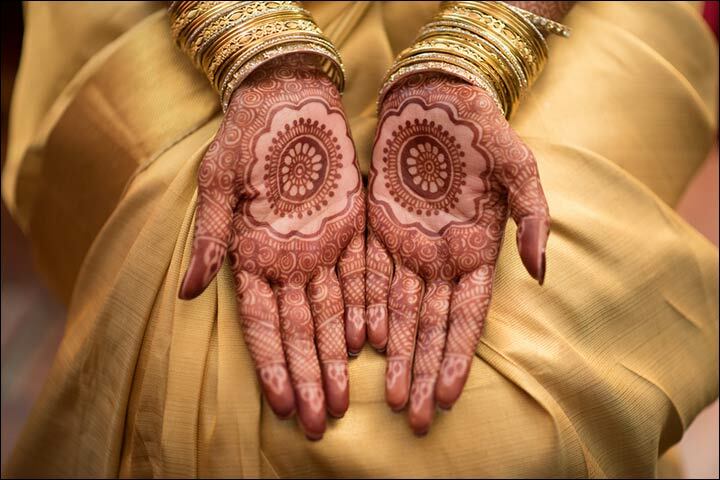 Some parts of Hindu mythology mention henna designs, so it’s a safe bet to say that mehndi has pre-historic origins. Even in the Ajanta and Ellora Cave paintings, there are depictions of handmaidens painting elaborate mehndi art designs on young princess. 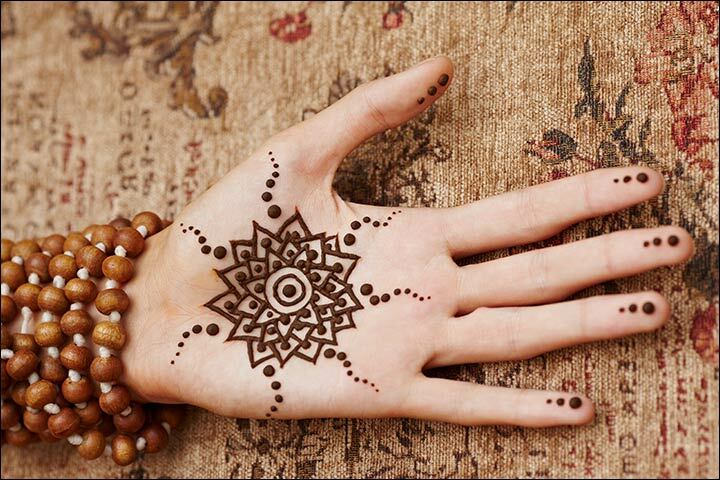 Henna is also believed to have been used by the Hebrews, who referred to it as “camphire” in the Old Testament. In the Muslim tradition, henna was believed to be the prophet’s favourite flower and was considered to have magical properties! 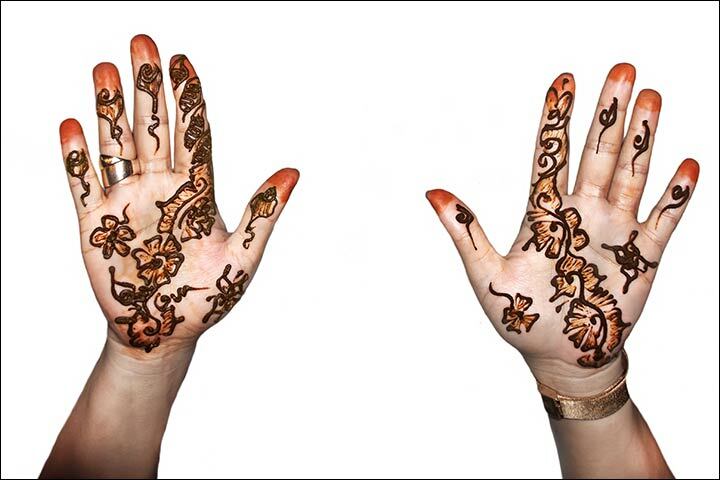 The essential meaning of the mehndi ritual is transformation. Just like the green stain transforms into a beautiful red one, so too the bride is going to be transformed as she begins her new life. 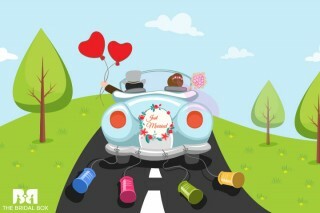 It is symbolic of that creative activity that birthed the entire universe, of which the bride and groom will be a part. You may also be interested to know that the Kama Sutra lists mehndi art as one of the sixty-four arts that women should be well-versed with. 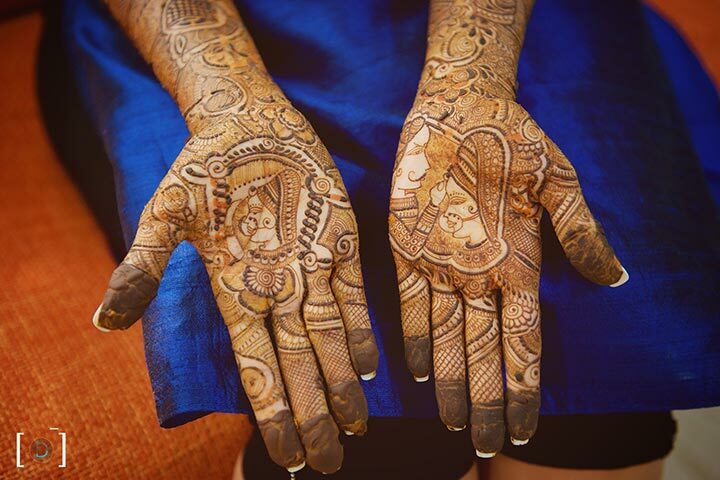 So, on your big day, as your hands are adorned with beautiful designs, spare a moment to consider the rich tradition that is associated with mehndi. This tradition didn’t just come out of nowhere, but is in fact loaded with significance if you only take the time to look for it. 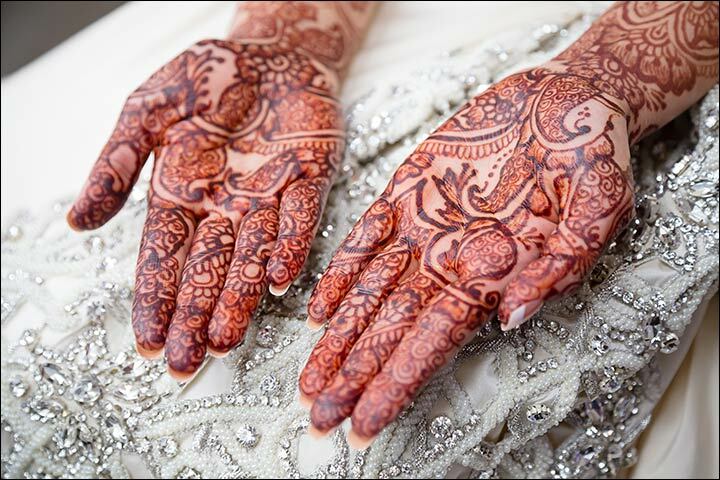 Be that as it may, the question remains – what will be that perfect bridal mehndi design for you? Well, you first need to keep in mind the kind of jewellery you will be wearing. 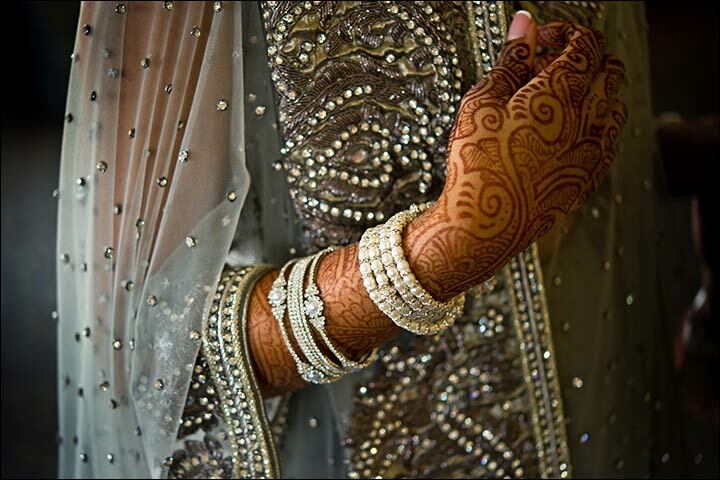 If the mehndi design is too elaborate, it could clash horribly with the jewellery you will wear. 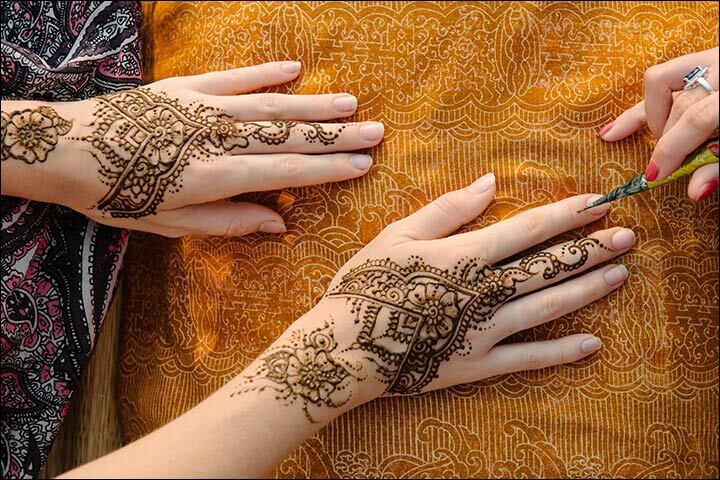 We are here to offer you some ideas for finding that perfect mehndi design. 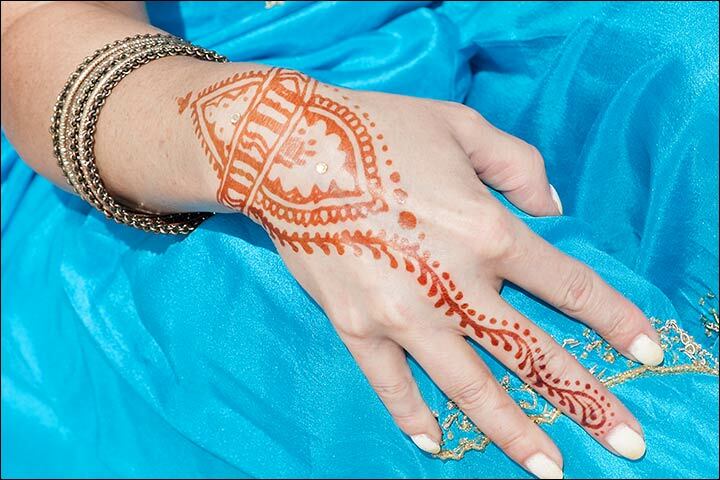 Circular mehndi designs are a true classic, and will really keep you in touch with our age-old traditions. This not only represents the circularity of life and its renewal, it also makes for some very lovely yet simple designs. 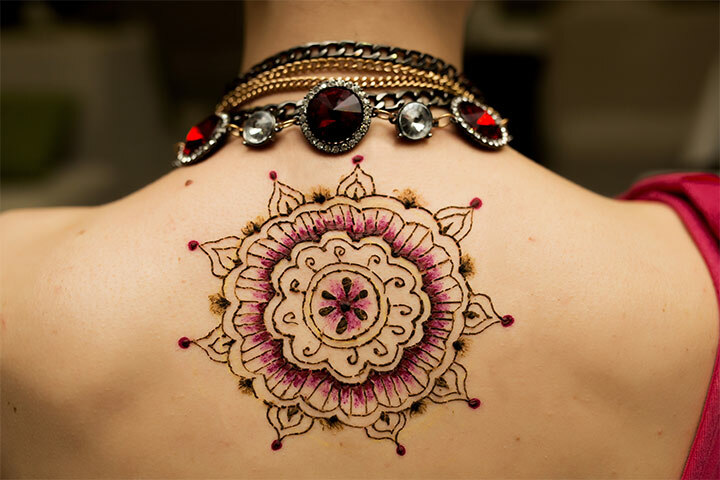 If you are looking for an elaborate design, then a small central circle which is then embellished by concentric circles would be a great way to go, like the one below. This could also be a great motif to draw on the outside of your palm. Now that you know what it symbolizes, go ahead and carry forth the tradition that has existed for millennia now. 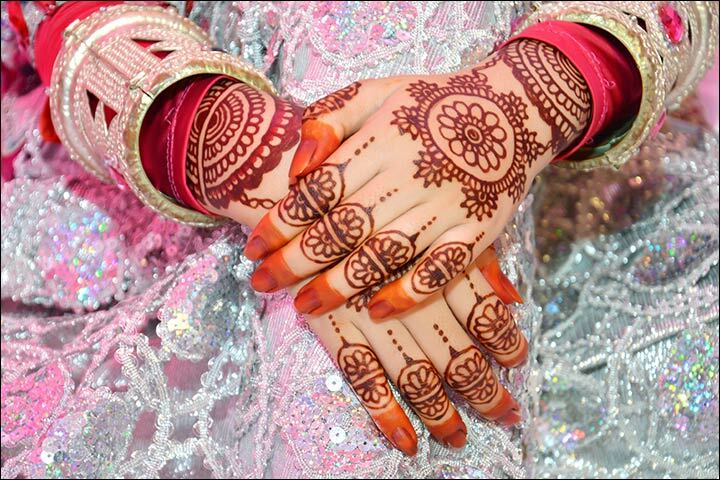 The dulha-dulhan mehndi designs are yet another great option for your big day. 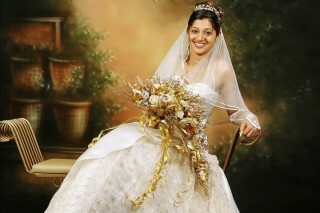 This design is one of the most preferred options by many young brides today. The design consists of a traditional dulha and dulhan pattern. Here, the beauty lies in the detailing. 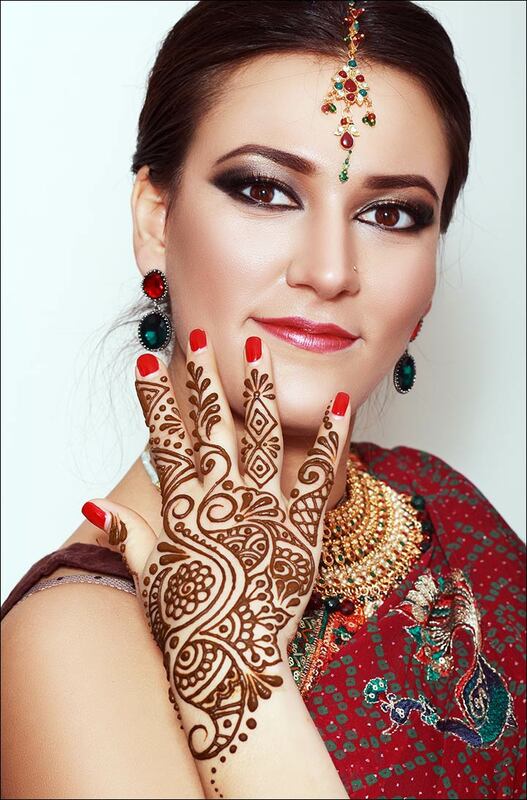 You could have a gorgeous dulhan painted in your hands, her face adorned with a matha patti or an elaborate nose ring. The detailing on her lehenga, her posture, her smile would all make your design really stand out. The traditional dulha too is given much detailing, whether it is his turban or moustache. The gorgeous design below depicts the dulha putting sindoor on his new bride, which not only looks gorgeous but also feels quite romantic. The beautiful design below depicts the dulha placing a garland on the dulhan on one hand, and a beautiful dulhan in her doli in the other. This is a great design that any bride would love to see on her wedding day. 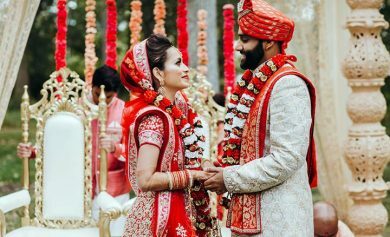 You could take this theme further by incorporating traditional motifs associated with marriage, like the dholak and flutes. If you are south Indian, you should definitely consider getting the traditional nadaswaram. 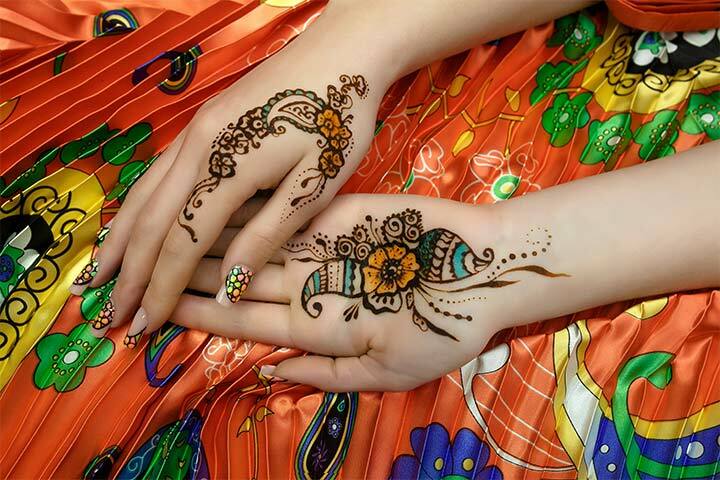 You might need to look through several mehndi designs and mix and match the motifs until you are happy with the design. 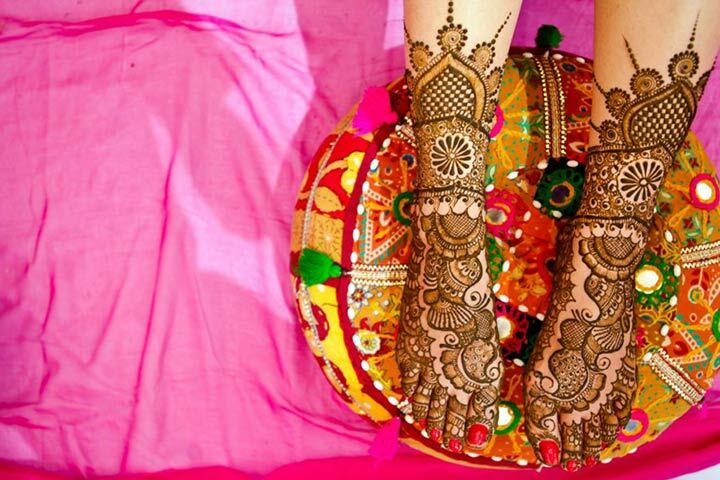 Although this is optional in many cultures, more and more brides are opting to have some gorgeous designs tattooed onto their feet. 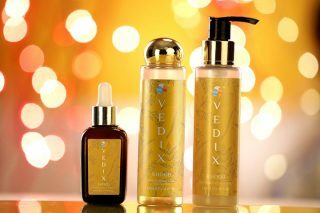 There are a number of gorgeous designs that you can choose from, and you will definitely be a vision of perfection from head to toe! Floral motifs and vines are the perfect design of choice for the bride, which will make your feet look dainty and elegant. When those vines shape your feet perfectly, nothing could look more beautiful. Peacock designs are also a great option for your feet. The peacock is no doubt an elegant and gorgeous bird, and this elegance would definitely sit well in your feet. Here, you could either go for a design that fully covers your feet with intricate designs. Or you could opt for smaller, simpler designs that would look great when embellished with jewellery for your feet. When you do get a design for your foot, keep in mind that the design should accentuate the natural curves of your feet. Glitter mehndi is yet another trend that is fast becoming popular. Here, in addition to the dark red colour of your mehndi, your palms are adorned with some gorgeous colours that will really make your mehndi stand out. But make sure this does not clash with the colour of your dress or jewellery. These sort of designs could easily go overboard, though. 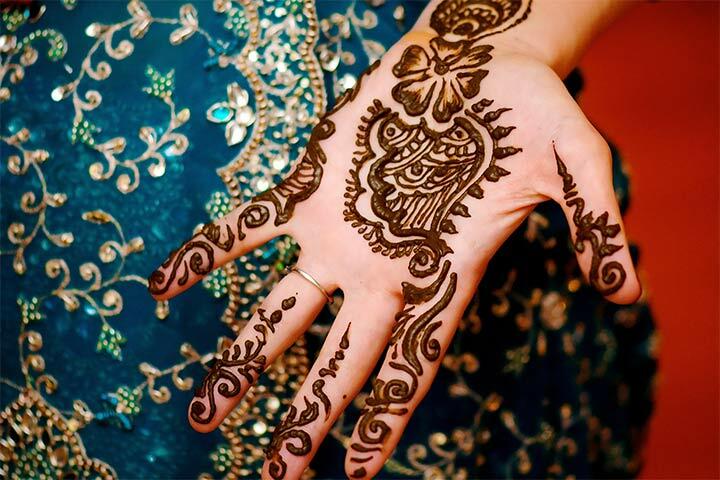 Make sure that the design you get accentuates the beauty of your dress and your mehndi design. You do not want it to look tacky. 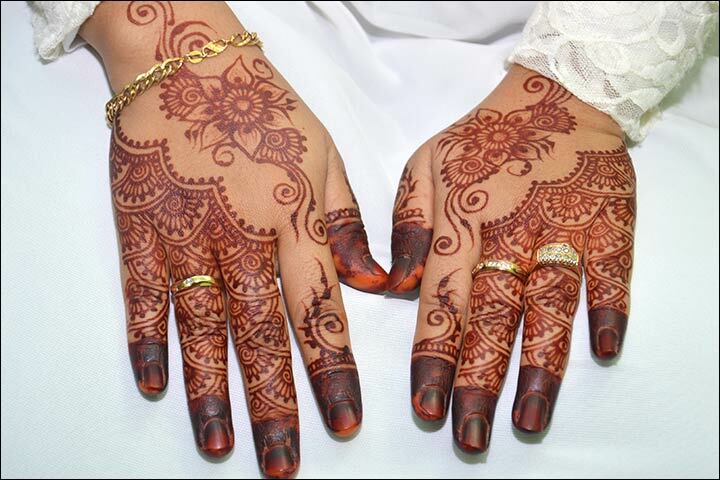 But in the hands of the right mehndi artist, this design is sure to make you look simply spectacular. If you don’t want to opt for elaborate traditional designs, there are several great designs that are very minimalist, modern and chic. A very simple design, with a few traditional motifs that strategically leave a lot of blank spaces in your hands, could be just the thing that you are looking for. The design below could be simply perfect if you are looking for a design that is modern and classy. If that doesn’t work for you, you could try out a simple circular design, with minimal embellishments. 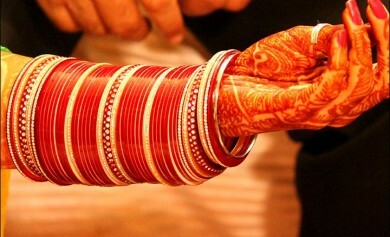 Why should mehndi just be restricted to your arms and legs? 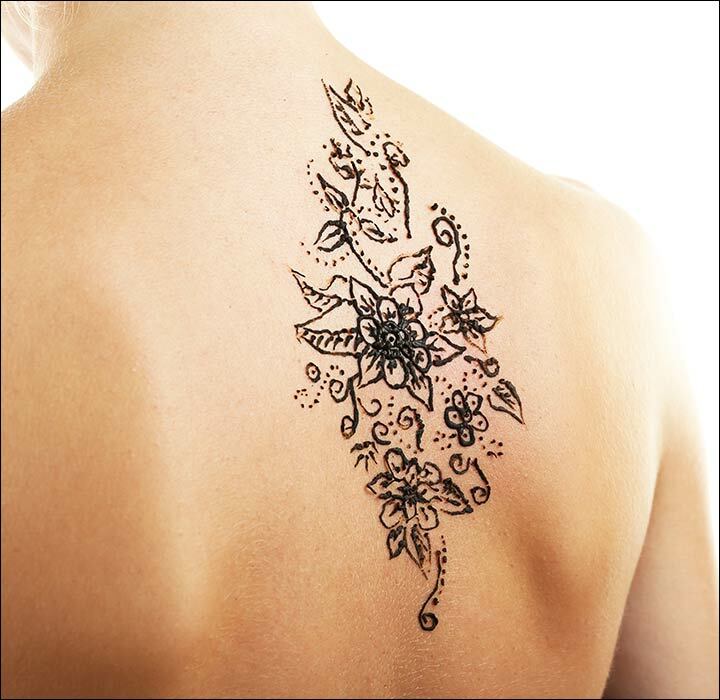 Many brides are opting to get their backs tattooed with mehndi for their big day as well. This would look wonderful if your blouse is low-cut. The design could range from a small, simple one, to an elaborate one that covers much of your back. 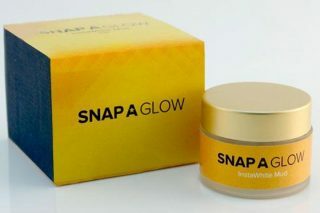 So if you are one of the bold and beautiful brides, this is an option you should definitely consider on your big day. 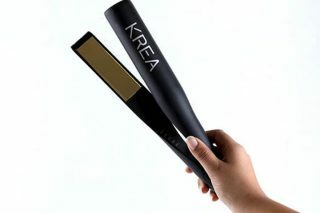 This is a sure fire way to look sensuous and beautiful. 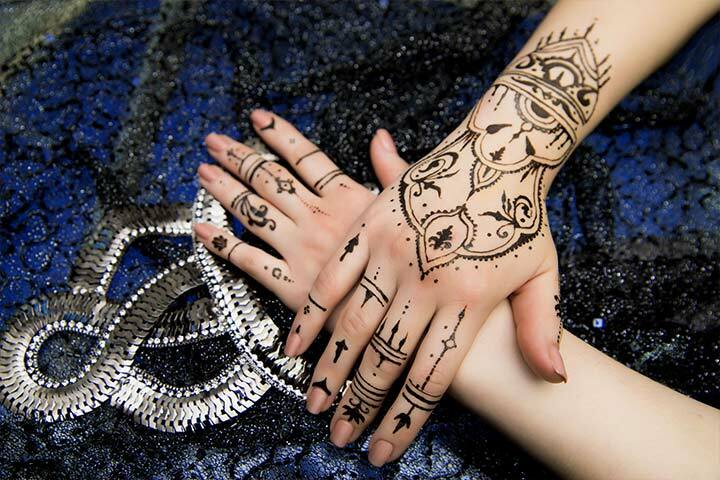 The Arab culture, much like India, has a rich tradition of mehndi art. The designs are usually bold, simple and elegant. 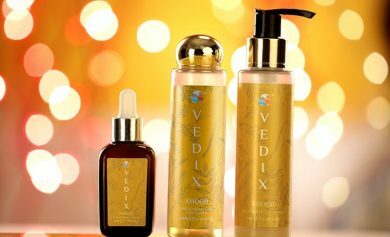 It draws inspiration from the floral and geometric motifs that are so characteristic of Arabian and Mughal architecture. 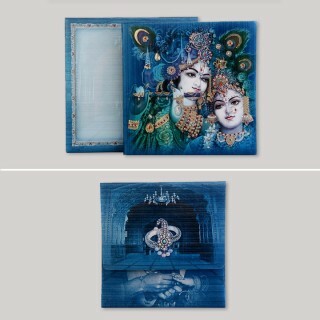 Especially if you are a Hindu bride, this would be a great way to find new and innovative designs that stand out from the crowd. In this design, the pattern is drawn across both the hands in continuity which causes the pattern to divide on to both the hands. So when the hands conjoin, they complete the drawing. The pattern can be limited to the hands or it can be a full hand design. 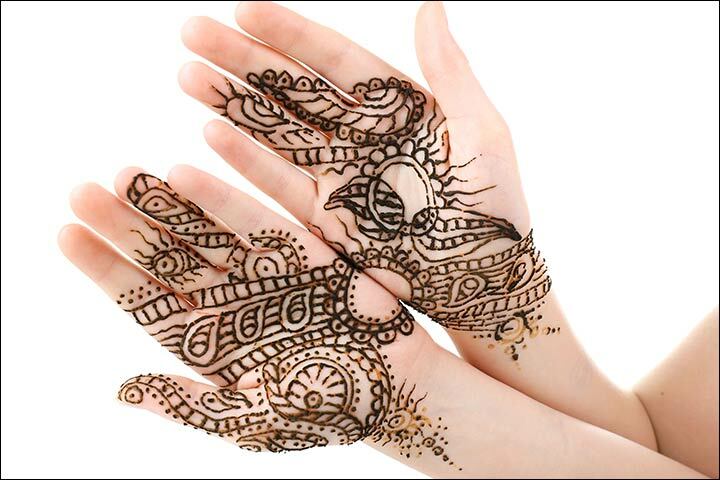 This design is great for occasions of celebrations and festivity since it creates a more fuller image on the hands. This is similar to minimalistic pattern with the only difference being that there is more emphasis on creating a single floral element like a single flower or petal. This one is great for the various allied ceremonies of a marriage where one can have a basic design before going for the elaborate pattern for the wedding. A simple floral design also works great when you want a everyday mehndi pattern. The pattern in this design is made to resemble or complement ornaments like bangles and fingers. This is usually made to be a great accompaniment to the the ornaments worn and thus blends gracefully with the various adornments worn by the bride. 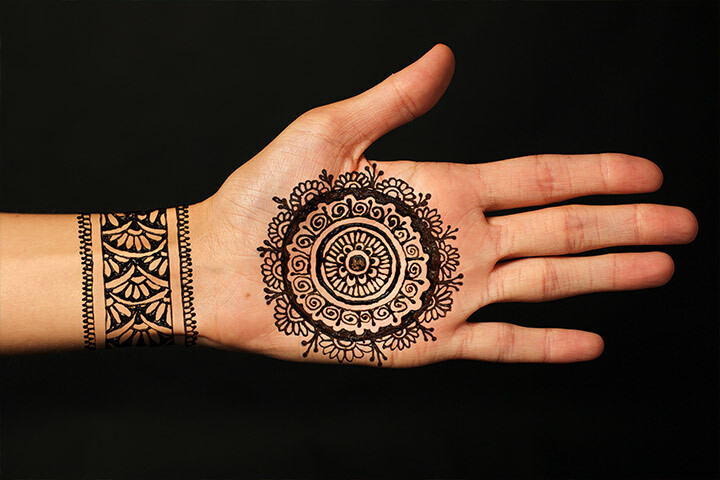 The pattern is drawn from the wrist towards the hands finishing at the tips of the fingers with a deeper application of the mehndi. This makes the design on the fingers the most striking part since the whole pattern quite neatly culminates at the tip of the finger. 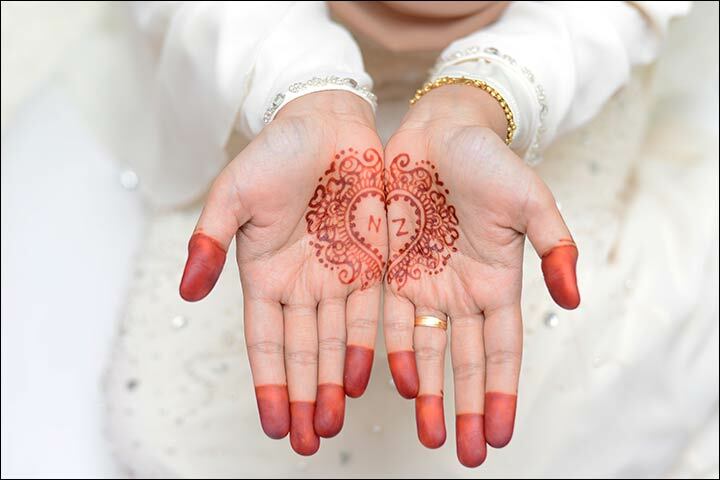 It is most commonly seen on the hands of the brides on the day on the wedding. 7 Peacock Mehndi Designs That’ll Surely Make You Hawt!